I just spent four days in Amsterdam and I just have to say I love that little city! Amsterdam has it all – great people, great looking houses, cool house boats, freedom to smoke weed, freedom to choose your occupation (like legal prostitution), great cafés, great restaurants and many more things. I dare to claim that Amsterdam has set focus on being the legal melting pot in Europe for all things considered bad. In Sweden Marijuana (pot, weed, the magic dragon) is considered to be the gateway drug to hell, with no return ticket. From a very young age we are bombarded with propaganda about the killer grass. Once you puff you are as good as doomed to live the rest of your life in self made heroin cocoon. So to find that people are smoking Marijuana everywhere in Amsterdam is like finding out that your mother really is a dude. It is such a big chock that I probably snapped way too many pics of these Coffee Shops. Knowing this my dear reader please forgive my curious excitement in this picture extravaganca. Tulip market which they claim is floating. People waiting to enter the newly opened Abercrombie and Fitch store. For those of you that do not know what that is – it is a fashion store for the younger crowd. Bikes, bikes and more bikes. These yellow ones are for rent. Typical dutch bike design. Marijuana plants at the Amsterdam Hash and Marijuana Museum. At the exit you can purchase real, potent seeds to plant at home. Reverse parking extreme! One bad turn and you end up in the water. Another coffee shop. These are nearly on every street. And people smoke weed on the street outside of the shops, even though you are not really allowed. Cool windows on this dutch building. Chess boxing club. Best in the game. A true car! These cars are everwhere. I saw two ppl in one of these little cuties. Best thing is that you can pick it up and take it inside (if you are strong enough). Even more houseboats – they are truly in most canals. House boats everywhere. These are great and are also connected to hot/cold water. Bikes everywhere. Unfortunately they do not use bike helmets, not even on young kids. Very bad!!! Coffee house where you are allowed to legally purchase and smoke weed (Marijuana). For 12 Euro you get 2 gram. Beautiful canals everwhere in Amsterdam. Man with a pot on his head in the Red Light District. Maybe he also smoked one too many. Cool building and pink bike in typical dutch style. Another Coffee shop where you can purchase your marijuana 12 Euro for 2 mg (should give you 2 joints). Lost something in the park? Just check the fence for your lost & found. You need to pee? Then just enter the urinal. I did! Very sad lion enclosure at the Amsterdam Zoo. No space for the king! One of the cool giraffes at the Amsterdam Zoo. Electric cars waiting to be charged for another day of going places. Fine lunch dining a la buffé style. Waiting lounge in Schiphol Airport ,Amsterdam. This entry was posted in Holland on 2013/01/08 by Trailsurfer. This is too weird to not write about. Weg van Nederland was broadcasted this week on Dutch television, the game show, translating as Far from the Netherlands, involved five contestants all of whom were due to be deported. All of the participants had exhausted the legal avenues to stay in Holland and faced leaving for their country of origin. The winner of the quiz was due to get €4000 ($5300) to make a fresh start outside the Netherlands. Topics in the quiz include Dutch culture, history and language. One consolation prize was a bulletproof vest. You might by now think that this is a joke, but it it not. Yeah lets think about that – parading people who have their lives destroyed on national television. This entry was posted in Holland on 2011/09/02 by Trailsurfer. The Dutch government on Friday said it would start banning tourists from buying cannabis from “coffee shops” and impose restrictions on Dutch customers by the end of the year. 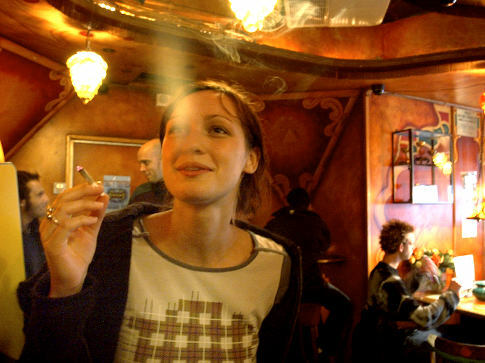 In order to tackle the nuisance and criminality associated with coffee shops and drug trafficking, the open-door policy of coffee shops will end,” the Dutch health and justice ministers wrote in a letter to the country’s parliament on Friday. Under the new rules, only Dutch residents will be able to sign up as members of cannabis shops. The policy will roll out in the southern provinces of Limburg, Noord Brabant and Zeeland by the end of the year and the rest of the country next year, the spokesman said. 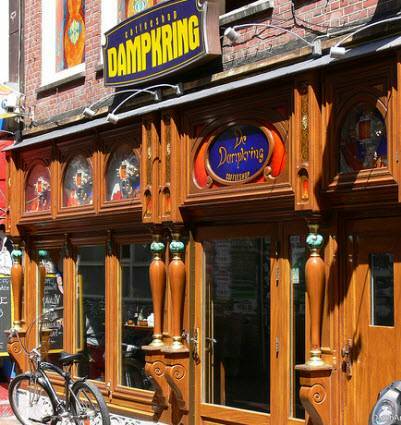 Amsterdam, home to about 220 coffee shops, is already in the process of closing some in its red light district. This is the end of an era, when the Dutch opposed the world, and allowed people from all over the world to purchase Marijuana – a free haven! This entry was posted in Holland on 2011/05/30 by Trailsurfer.